This 137ft Mondomarine is a semi-displacement motor yacht, assuring safe and comfortable cruising to your desired destinations. The aft main deck dining table is a delightful spot for dining while appreciating the stunning sea view. The upper deck dining table is the perfect spot for meals under a cool shade. This table also lowers and converts to a coffee table. On the ample upper deck, you can enjoy an evening drink by the illuminated bar, a dip in the Jacuzzi or just sit around the modular sofa. Inside, in the upper salon, the sofa is an ideal spot to lounge around and watch your favorite movie from the high definition projector. On the inner main deck, the dining and saloon area is in absolute minimal scheme. 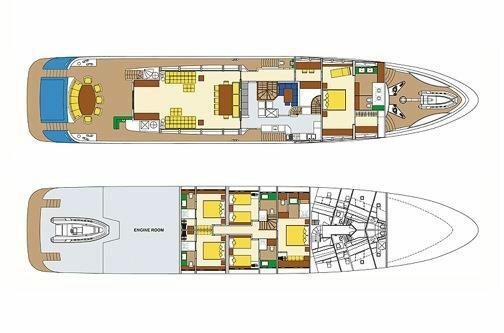 M/Y Barents Sea can comfortably accommodate 12 guests in one Master, one VIP, two Double and two twin cabins .The master cabin located on the maind deck, is a piece of art in itself. The large windows and the waves on the wall actually provide the sensation and awareness on being right next to the sea. The ensuite facilities are absolutely marvellous, with the new trend of led lighting, the faucets and showers light up and create an atmosphere of your desire. 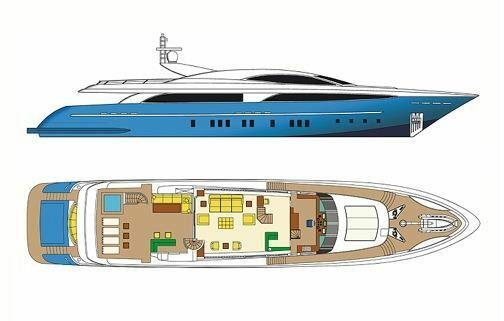 On the lower deck, you will find the contemporary VIP cabin, the two double and two twin cabins which maintain the modern design that is kept throughout the yacht. All cabins are spacious with ensuite facilities, audio and visual equipment. The large garage, leading to the platform stores all the water toys. Easy access to and from the sea is made from the platform. M/Y Barents Sea with the latest state-of- the-art technology will safely take you to the most amazing places. 3 SEABOBS: 1 X F5 2XF7 "CAYAGO"